Sometimes when it seems too good to be true, it is. There are antennas out there that promise phenomenal things. They usually don’t deliver. 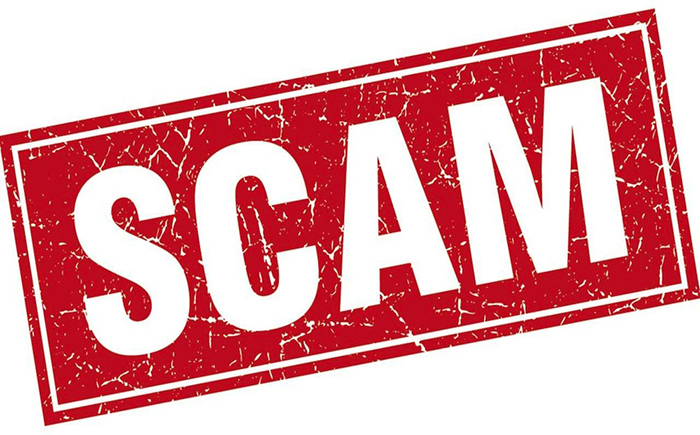 However, one of the most common scams works because they actually do deliver. Well, they sort of deliver. Let me back up. There are antennas out there that promise 150-mile range. Of course they can’t back that up. They get away with it because every antenna situation is different. Some people will legitimately get incredible reception, due to random factors. That’s kind of the way signal propagation works. Most people won’t. However most people will be able to use the antenna as intended in one way. One big selling point from these cheap antennas is that they promise gain numbers that are higher than nearly any other antenna. Our giant HD8200XL antenna lists its gain at 14dB. That means it will bring signals that are about 25 times stronger than a reference antenna. That’s pretty good. 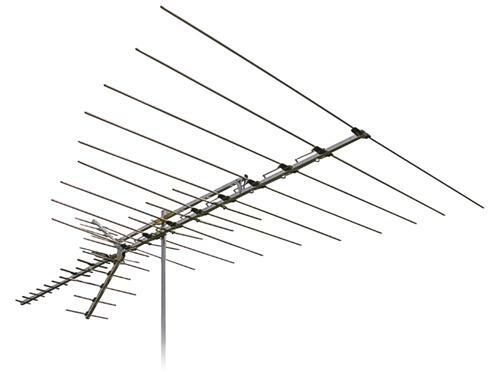 On the other hand you’ll see antennas that look like this sold under several names. We even offer one at SolidSignal.com. It’s a lot smaller, yet you’ll see gain ratings from 35-50dB on it. In other words, a signal coming out of this antenna could be 100,000 times stronger than the signal coming out of a reference antenna. How is that possible? Well they could be lying. Since each manufacturer is responsible for their own testing, it’s possible that they are lying. It’s very possible in fact. But in this case, I bet they aren’t. They’re just using an amplifier. Antenna amplifiers are really just the same as any other sort of amplifier. They take something weak and they make it stronger. However, amplifying an antenna signal doesn’t really do what you think it does. This video I did a few years ago lays it out. Taking a very weak signal and amplifying it a million times over doesn’t make it any better. Instead it’s sort of like taking a picture from your phone and blowing it up to very large size. It’s never going to show you details that you couldn’t see. It’s going to make everything bigger, but not clearer. Too much amplification can be bad. If I took one of those “miracle” antennas” and measured the signal from it, I bet I would see that 50dB boost. On the other hand, I might not see any more channels from this antenna than I would see from a similar antenna with no amplification at all. An amplifier can help you get sort of marginal signals, but more often than not it doesn’t do much for you. Too much amplification can make things worse, kind of like if you turn up the volume too much and the sound gets all muddy. You should use an antenna amplifier if you are using long cables or old cables to get signals down from the roof. The amplifier will make the antenna signal stronger and help it travel through the cable. Since each 100 feet of high quality cable will cause the signal to drop by 4dB, a signal that isn’t very strong leaving the antenna could get too weak when it gets to the house. If you’re using older cable that number could be even higher. Generally if you are in an area where signals are a little weak, an amplifier that provides as little as 15-20dB gain may be able to help. An amplifier with 50dB of gain is just going to make things worse. Don’t be fooled when looking for an antenna. Ideally you want to look for the antenna with the highest unamplified gain. If you’re looking at an antenna with a built-in amplifier, the manufacturer may not list that number. In that case, look for an amplifier with no more than 20-30dB of gain. More importantly, look for an antenna with a published noise figure. Noise figure is a fancy mathematical construct. It boils down to this: Take the total gain and subtract the noise figure. That’s the amount of useful gain. You should be looking for an amplifier with a noise figure under 10dB. 5-7dB is typical. Some amplifiers will give a number like “less than 1dB” but that generally applies to a small predefined range. I tested some inexpensive amplifiers recently and found the actual noise figure to be 20-25dB meaning that the amplifier actually made the signal worse. My guess is that these cheap antennas are using amplifiers like that. They need to boost the signal go much because if they don’t, it gets swallowed by the noise. If you need help choosing an antenna, call the experts at Solid Signal. They’ll take all the information you can provide and recommend an antenna that works best for your specific situation. The number: 877.312.4547.